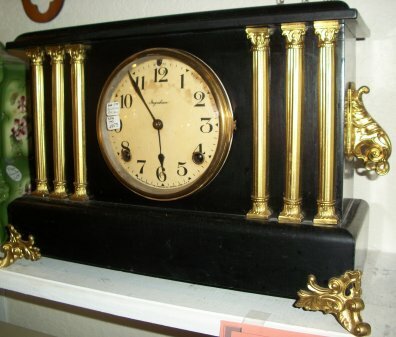 This black mantle was made by the E. Ingraham Clock company. 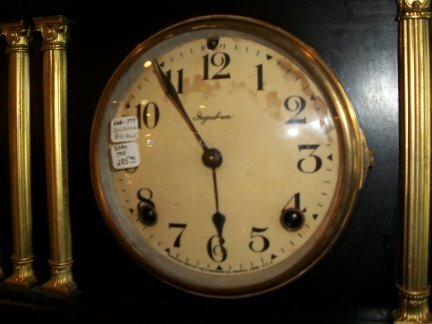 It has an 8 day time and strike movement. 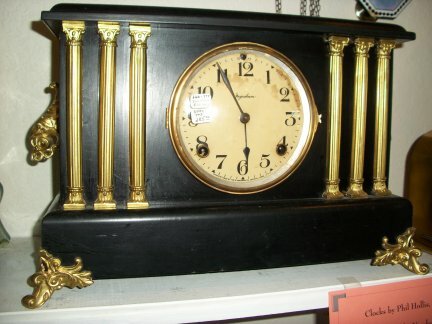 Close up view of the face, the face is celluloid.